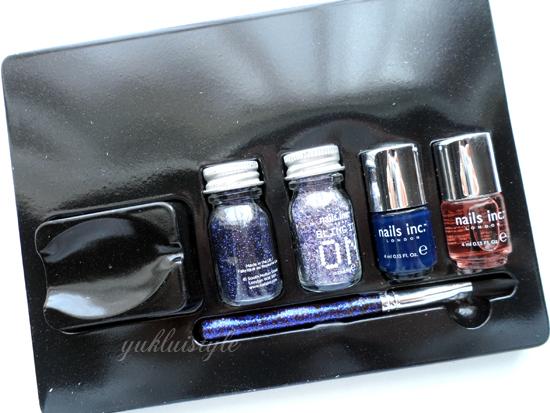 I’m loving these nail polish sets Nails Inc are releasing. They release different colour and accessory combination that compliment each other as well as themed effects. This set has been released for a while now and have received as a birthday gift. Only tried it out now. 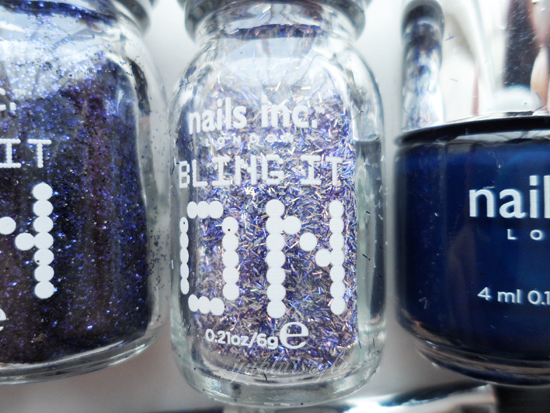 In this set, you get 2 jars different glitters, a nail polish in Blenheim Terrace and the Kensington Caviar top coat which both are 4ml. This is fun to do and it’s quick and easy. It does get messy but you can sweep it away with the brush included or let your nails properly dry and wash your hands. 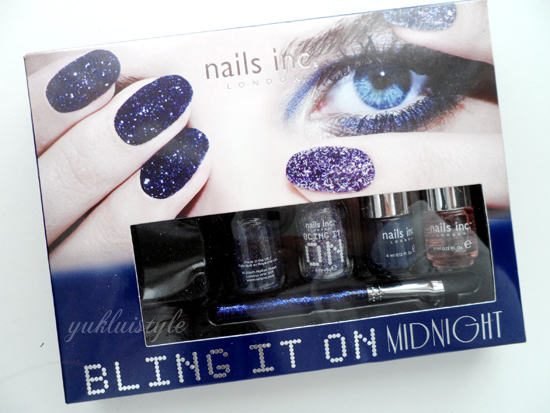 I love the nail colour in general, a midnight blue, it is something I would wear a lot. It is opaque just applying one coat. Impressive. I like how the tray has a little funnel like indent at one end so you can pour the rest back into the bottle but it’s not really efficient. 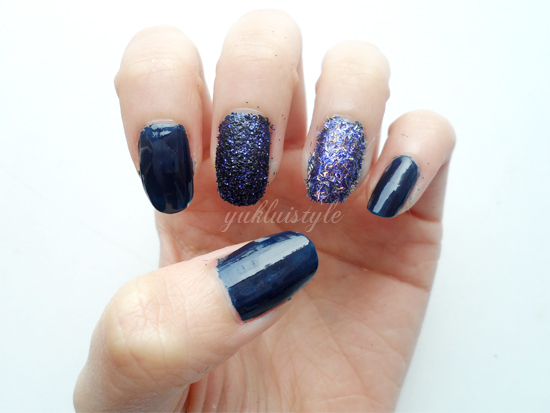 After applying the top coat on the fine glitter (middle finger), the glitter looks more like a textured nail polish like concrete or sand textures that is out but a bit more glam. 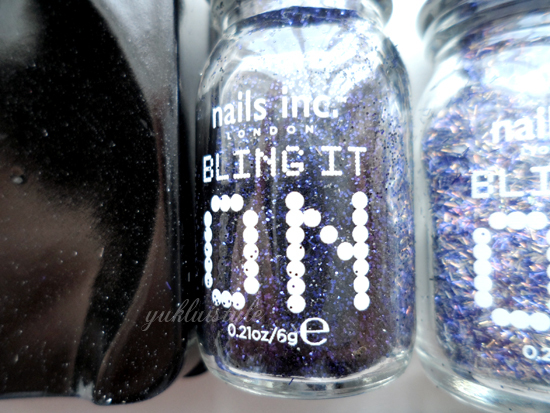 I prefer it if I didn’t apply the top coat and use it on the feather like glitter. The lasting of these is pretty good, a good few days then it’ll start chipping. The glitter nails lasted longer. For £20, it is quite pricey but it’s cheaper than getting your nails done at a salon and you can redo your nail without having to spend more. You create various designs rather than it covering your whole nail allowing you to be creative. 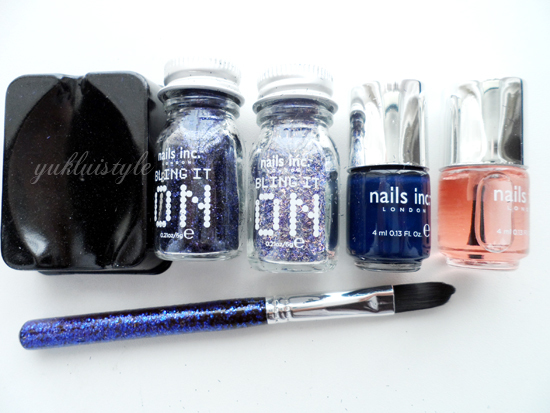 Have you tried any Nails Inc sets? Nice blog. Come to visit me and if you like, follow me too. 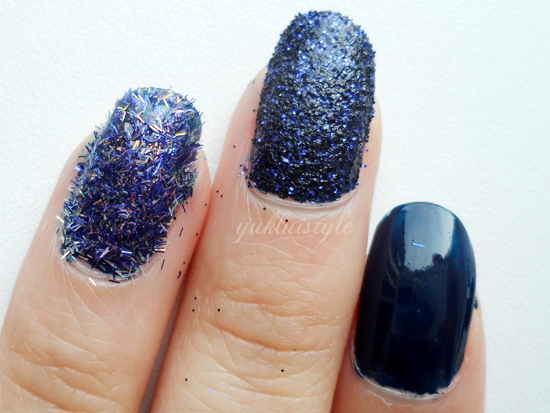 I like the confetti one, so pretty!